Memorial Day weekend has kicked off the summer season at Walt Disney World. Summer fun is heating up at Walt Disney World, as Memorial Day weekend brings all-new entertainment and more to kick off the season. At Magic Kingdom Park, Supers have taken center stage with the Incredible Tomorrowland Expo, a celebration of all things super. Mr. and Mrs. 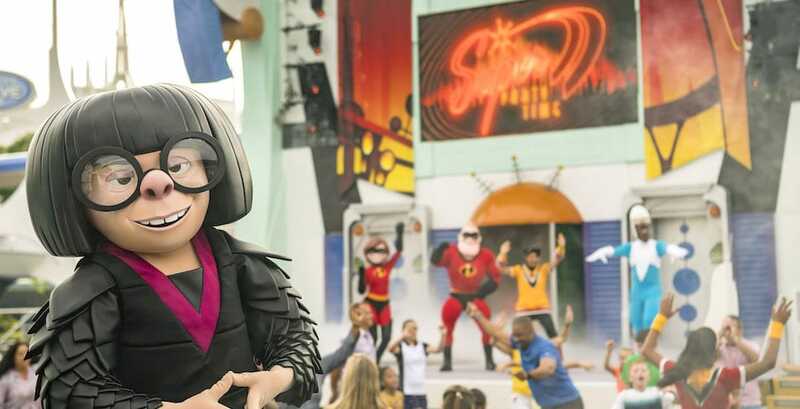 Incredible, Frozone, and for the first time ever, Edna Mode, have arrived for an interactive celebration featuring unique decor and high-energy music. Families can dance and sing during “Super Party Time,” a continuous dance party and show on the Rockettower Plaza Stage, which includes themed games and performances by new up-and-coming Supers. Donald’s Dino-Bash takes over DinoLand U.S.A. each night. Over in Disney’s Animal Kingdom, Donald’s Dino Bash! is a fun celebration with plenty of dino-mite decor and character greetings. 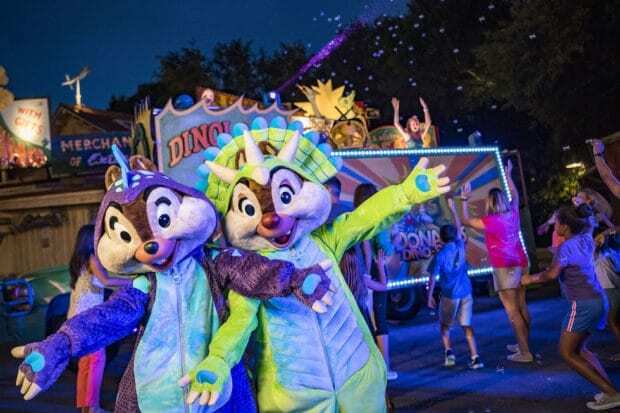 During this prehistoric party, Donald Duck and friends take over DinoLand U.S.A. to celebrate Donald’s discovery that ducks are descendants of dinosaurs. Guests can enjoy photo-ops and meet-and-greets in several locations with Donald, Daisy, Scrooge McDuck, Launchpad McQuack and more during the party. The experience culminates with a nightly dance party featuring Chip ’n Dale, along with a DJ serving up tunes. Guardians of the Galaxy – Awesome Mix Live! begins on June 9 at Epcot. Incredible Summer continues at Epcot with the Guardians of the Galaxy – Awesome Mix Live! concert series. 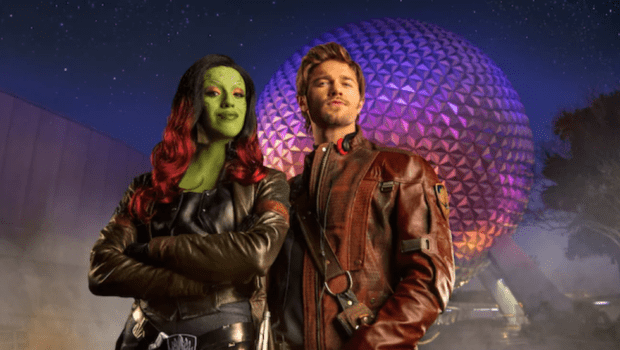 This experience features hits from Star-Lord’s Awesome Mixtapes, tunes from the two movie soundtracks, as Star-Lord and Gamora jam out with an alien band on the America Gardens stage in the World Showcase. The show will take place five times daily starting June 9 through Aug. 19. The big thing happening this summer is actually toy-sized, as Toy Story Land finally opens this summer on June 30 at Disney’s Hollywood Studios. Guests will shrink to the size of a toy in this new land, and experience new attractions inspired by Disney/Pixar’s “Toy Story,” including Alien Swirling Saucers and Slinky Dog Dash. To learn more about other Incredible Summer offerings at Walt Disney World, visit DisneyWorld.com.